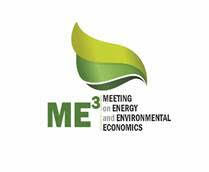 As it has been in the past two years, the ME3 is an international meeting that aims at sharing experiences and results by the Scientific and Business community whose interests are the Economics of Energy and Environment. In addition to the general topics of energy and environmental economics, this year’s meeting has a special focus on “green” municipalities or cities, and on the economic and environmental impact, this “greening” can bring. In this sense, we will have two special sessions with representatives of municipalities and regional agencies that will tell us about their experiences and / or expectations about energy, water or waste behaviours at municipal and regional level. Email for paper submission: degei-me3@ua.pt. University of Leeds (various); Director of the MSc Sustainability (Environmental Politics and Policy); course leader Environmental Policy, Planning and Economics; Sustainability and the Governance of Economic Development, PhD Research Design and Philosophy. The USSEE Board of Directors is pleased to announce the nominees for the 2017 Board Elections. The following nominees are for 3 available positions: Secretary-Treasurer, 2 At-Large Member Positions, and Student Representative. Nominees are presented by position in alphabetical order. Elections begin June 2 and will run for two weeks. Please note, your ISEE/USSEE membership must be up-to-date to vote! Active members will receive a ballot via email. Bio: He was a co-founder of Temple University’s Environmental Studies Program, and was honored by the University with a 1999 Lindback Award for Distinguished Teaching. Most of his publications and consulting work have involved the micro-economics of energy and the environment, and have appeared in journals such as the American Economic Review, Journal of Environmental Economics & Management, Environmental Management, and Landscape & Urban Planning. His works-in-progress include such topics as sustainable housing placement, environmental information systems, sustainable business practices, urban agriculture and food justice, and using environmental and health amenities to offset wealth inequality. John received his B.B.A. from Baruch College of the City University of New York and M.S. and Ph.D. degrees from Purdue University, all in economics. Candidacy Statement: John was a charter member of USSEE, is a member of the Scientific Committee organizing the 2017 Biennial Conference, and has gotten to know a lot about the Society as the current Secretary-Treasurer and member of the Executive Committee. As the Secretary, he has recorded minutes of the Executive Committee and Board of Directors meetings. As Treasurer, he oversees the USSEE bank and PayPal accounts, and interacts with ISEE concerning dues distribution. As USSEE presently cannot afford to pay an executive director, he has taken over many of the tasks that the energetic, tireless former executive director performed. John hopes that the 2017 conference-related boost in USSEE membership will continue as the Society becomes more active in curriculum sharing, web-based interactive communication with members, and social networking with other like-minded, trans-disciplinary organizations. All of us have a lot to offer; we just need to find the means. John looks forward to working on these initiatives for the next two years as Secretary-Treasurer. Bio: I am a 2014 graduate of the PhD program in Ecological Economics at Rensselaer Polytechnic Institute. My doctoral research focused on the impact of climate change and globalization on peasant agriculture in the Mexican Yucatan, and Peruvian Andes and has been published in Ecosystem Services and Society and Natural Resources. My current research is focused on ecosystem conservation and conservation education in the Yucatan. Right now I am postponing my search for a full time academic position to spend time taking care of my 3 year old and 9 month old sons. In the meantime, I am serving as an adjunct, and doing grant writing and consulting work for environmental and education related non-profit organizations in the area. In addition to my ecological economics degree, I also hold a bachelors and masters degree in mechanical engineering from Rensselaer Polytechnic Institute and am currently involved in a number of K-12 STEM education projects and initiatives. Candidacy Statement: I am interested in continuing my position on the USSEE board of directors because I feel strongly about the importance of incorporating ecological economic concepts into traditional economics education. I believe that the field is often overlooked by both mainstream economists, and practitioners of other disciplines who could benefit from its interdisciplinary methods and theories. Over the past two years as a board member I have helped to create a new education component of our website, where professors can find syllabi and resources to help them incorporate concepts from ecological economics into their courses. I hope to continue to develop these resources, while helping to promote the field of ecological economics to a broad audience. 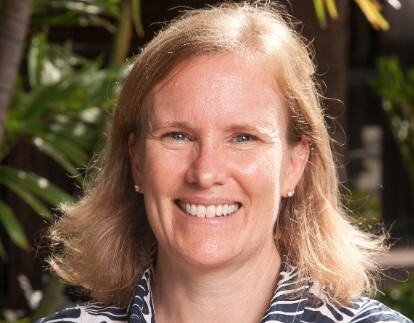 Bio: Regina Ostergaard-Klem is an Associate Professor of Environmental Science in the College of Natural and Computational Sciences at Hawaii Pacific University (HPU) in Honolulu, Hawaii. She holds a BS in Industrial Engineering from Lehigh University, and both an MS in Environmental Engineering and a PhD in Systems Analysis and Economics for Public Decision Making from The Johns Hopkins University. From 1994-1995, she was a Fulbright Scholar in Lodz, Poland. After completing graduate school, Ostergaard-Klem was a Science and Diplomacy Fellow with the American Association for the Advancement of Science (AAAS) in Washington, DC. 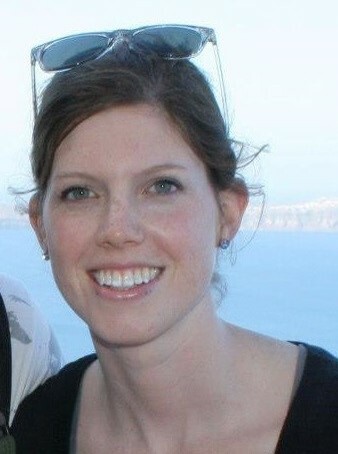 Prior to coming to HPU, she worked as an environmental policy advisor at the US Agency for International Development (USAID). There she managed urban environmental and energy projects throughout different regions of the world. At HPU, Dr. Ostergaard-Klem teaches in both the undergraduate level Environmental Science/Studies program and the master’s program in Global Leadership and Sustainable Development, for which she is also the Program Director. Her teaching is concentrated in the fields of ecological economics, sustainable human systems, industrial ecology, and environmental policy. Her most recent research efforts are focused on the Genuine Progress Indicator (GPI), a framework for evaluating social welfare as a supplement to Gross Domestic Product. She is a co-developer of “GPI Island Style,” the application of GPI at the state level in Hawaii. As an extension of that work, Ostergaard-Klem collaborates with partners across the state on several initiatives, including efforts to develop a state sustainability dashboard. Candidacy Statement: Are we preparing sufficient numbers of well-equipped sustainability professionals to meet the challenges that lie ahead? As an educator and director of a graduate sustainability program, I am constantly asking myself that question. Teaching ecological economics for the last eight years, the nexus between ecological economics and sustainability education is obvious to me. Yet translating ecological economics theory into practical applications to best cultivate the sustainability competencies of my students is challenging. The potential to strengthen the inherent connection between the two fields is tremendous. I have been a member of USSEE/ISEE since 2013, and I regularly attend and participate in USEE and ISEE conferences. During the 2016 ISEE meeting in Washington, DC, I coordinated a session on teaching ecological economics from principles to practice. As a USSEE board member, I would hope to expand this effort, advocating a greater connection between ecological economics and educating the next generation of sustainability professionals. However, education is just one of many important, relevant roles for USSEE. Along with other members of the board, I would hope to similarly build or strengthen other connections, like that between researcher and practitioner communities or between USSEE and other stakeholders, according to the priorities set by USSEE members. Thank you for your consideration. Bio: Madhavi Venkatesan’s present academic interests are specific to the integration of sustainability into the economics curriculum and she is currently pursuing scholarly interests in sustainable development. 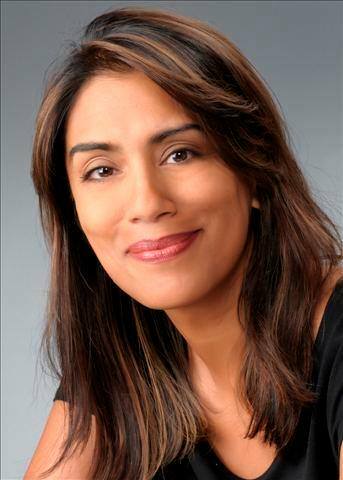 Prior to re-entering academics, Madhavi held senior level positions in investor relations for three Fortune 250 companies. In this capacity she was a principal point of contact for investors and stakeholders and was instrumental in the development of socially responsible investing strategies and corporate social responsibility reporting. Madhavi started her financial services career after completing her post-doctoral fellowship at Washington University in St. Louis. She earned a PhD, MA, and BA in Economics from Vanderbilt University, a Masters in Environmental Management from Harvard University, and a Masters in Environmental Law and Policy from Vermont Law School. She is the author of Economic Principles: A Primer, A Framework for Sustainable Practices and forthcoming Foundations in Microeconomics, A Framework for Sustainable Practices and Foundations in Macroeconomics, A Framework for Sustainable Practices. She has authored numerous chapters and journal articles, as well as participated in a TEDx and EconEd program. Her work is focused on conscious consumption, the role of economic education in promoting sustainability, and sustainable economic development. In addition to her academic interests, she writes a monthly column, Globally Local, for the Cape Codder, the newspaper of the Cape and Islands (Massachusetts). Madhavi was recently granted the Fulbright-SyCip Distinguished Lecturing Award to the Philippines where she will give lectures in the host country on sustainable economic development in early 2018. Bio: After spending 7 years in corporate strategy in both the for- and non-profit sectors, he spent 3 years writing about the ecological and economic problems we now face. 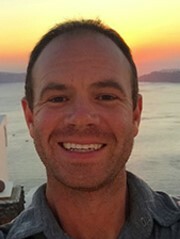 In the Rubenstein School, Joe’s research examines Monetary Theory in the context of socioecological stability. His interests lie in how economic rent and modern monetary systems affect social justice and environmental degradation; and how a socioecologically-resilient society will use money and distribute wealth. Outside of reading and writing, Joe loves to kayak, bike slowly, paint, and listen to Stevie Wonder. Candidacy Statement: I am very excited at the potential to serve as the student representative on the USSEE Board of Directors. I am a third year PhD Candidate at the University of Vermont and my researche centers on Monetary Policy on a Finite Planet. I am funded through Economics for the Anthropocene, an international PhD training project in Ecological Economics. I have been very fortunate to make great connections in my short time in academia. In this position I hope to make new connections and leverage my current network in order to continue to make Ecological Economics a viable alternative to the destructive systems we currently use. If you have any questions, feel free to view my CV here or contact me at jament@uvm.edu. The Department of Community Sustainability and the Center for Global Change and Earth Observation at Michigan State University is searching for a full-time Research Associate/post doc to be a part of a four-year NSF-funded grant that is developing new ways to reduce the social, economic and environmental costs of hydropower development. The position will start as soon as an appropriate candidate is found, preferably by summer 2017. Candidates will be based in East Lansing, Michigan, with significant fieldwork in the Brazilian Amazon. Project Abstract: An estimated 3,700 major dams are currently either planned or under construction worldwide, and they will continue to play significant roles in energy production in the foreseeable future, especially in developing countries. This study’s goal is to develop innovative solutions for hydropower– not just to produce energy for the national grid, but woven into the surrounding food, water, and institutional systems. The team includes hydroengineers, hydrogeologists, climatologists, biologists and social scientists working in tandem to offer transformative solutions for hydropower development while ensuring that social and environmental benefits outweigh costs. The research teams will assess land cover change to understand deforestation risk in and around dams, and identify agricultural areas that can benefit from sediment application. Coupled hydrological and climate models, linked to land cover changes in different landscape and socio-ecological settings, including international collaborations, will identify better hydropower solutions including ways to move sediments to farms and/or locations for in-stream turbines. Institutional and governance analysis will examine the multi-tiered dimensions that intrude upon the way civil society benefits from hydropower. The project will generate innovative solutions to produce renewable energy from hydropower, increase food production, and lessen negative environmental and social impacts that have reduced the acceptability of hydropower development, in the U.S., Europe and across the world. The successful applicant will become part of an interdisciplinary team dedicated to investigating the multi-tiered and multi-sector governance structure of the food-energy-water system. The research associate will conduct an institutional analysis of the FEWs nexus to help achieve an integrated policy assessment of this nexus for the Amazon basin. Necessary skills include knowledge of the study of governance and institutions (e.g. Ostrom, North). The work will require qualitative and quantitative skills since the work will cover communities in three river basins in the Brazilian Amazon. Statistical skills are required to be able to collaborate in interdisciplinary research across the social and natural sciences. Desirable experience includes knowledge of the literature on the food-energy-water nexus and the impact of hydropower dams, along with livelihood analysis. Responsibilities will be divided between fieldwork, analysis, and writing. Candidate is expected to work independently but contribute to team-based science. Are committed to a research career in interdisciplinary science, active publication of research results, and communicating them to communities. Have an outstanding academic record is expected, preferably with evidence of research publications. Completed Ph.D. degree in a social science or interdisciplinary field that includes a social science component. Expertise in institutional and governance analysis along the lines of the work of Elinor Ostrom and Douglas North. Fieldwork experience, such as survey and interview data collection. Acquainted with dataset management and statistical methods, mixed methods. Demonstrated oral and written communication skills; ability to think creatively about collaboration, and scientific inquiry; ability to work with rural communities in the Amazon region. Comfortable interaction with members of other disciplines and with integration of concepts from related fields; strong interpersonal and decision-making skills. Flexibility to travel and work as needed. Review of applications will begin immediately and will continue until the position is filled. Applications should be submitted electronically through Michigan State University’s website, http://careers.msu.edu/cw/en-us/listing/ under Job Posting No 432771. Applications should include (a) a cover letter that addresses the applicant’s interest in the position and how the applicant meets the qualifications specified above, (b) a current CV, and (c) a summary of your experience with diversity in your research endeavors, and any experience mentoring diverse student, and an explanation of how you will contribute to our goals of inclusive excellence, and (d) 3 letters of recommendation. Queries may be directed to Professor Maria Claudia Lopez, Chair of the Search Committee. The College of Agriculture and Natural Resources (CANR) at Michigan State University is committed to achieving excellence by creating and sustaining an accessible and inclusive culture that values cultural and academic diversity. We are an equal opportunity/affirmative action employer. The CANR is particularly interested in candidates of all backgrounds who are committed to the principle that academic excellence is achieved through open access and proactive inclusion. The Faculty of Environment, University of Waterloo, invites applications for a tenure-track faculty position at the rank of Assistant Professor or Associate Professor (salary range $85,000 to $125,000 per annum) with an anticipated start date of January 1, 2018. The successful applicant must have a PhD and be eligible for nomination as a SSHRC Canada Research Chair Tier 2 on the following theme: economic and business approaches to low-carbon transitions. We seek an energetic and dynamic scholar with demonstrated potential for leadership and international recognition in the study of economic and business approaches to identifying and implementing solutions for transitioning towards low-carbon development and economic pathways. Applicants with expertise relating to societal transitions to a low-carbon economy will be considered, with preference being given to candidates with research backgrounds in environmental or ecological economics, sustainable finance, sustainable business and management practices in established or developing economies or entrepreneurship and innovation systems in support of sustainability. We are particularly interested in applicants whose research and teaching interests complement and connect with the current strengths in sustainability management and international development in the School of Environment, Enterprise and Development or another academic unit in the Faculty of Environment. A demonstrated ability to forge and sustain fruitful partnerships with scholars from a variety of disciplines is considered an asset. Full position listing can be found here. Closing date for receipt of applications is June 1st, 2017. Qualifications: Ph.D. in Applied Economics with research focus and academic training in fisheries/ natural resource economics or a closely related field. Demonstrated ability to develop a productive research program in fisheries economics focusing on resource valuation, institutional and social issues in fisheries and sustainable management of natural resources, to publish peer-reviewed publications, and to develop effective and innovative teaching techniques is required. Expertise in market and non-market valuation techniques, forecasting and bio-economic models that identify optimal management strategies for fisheries resources, conservation and revival of fish species facing extinction threats, welfare analysis including market failure, institutional analysis, provide economic rationale for multiple uses of fisheries and water resources, strategies that minimize costs of stock enhancement strategies for recreational fishing is strongly preferred. A commitment to developing a dynamic research program that has a strong impact on the state of Arkansas is required. The full description can be found here. The Economics Department at the University of Massachusetts Boston is seeking two visiting assistant Professors for the 2017-2018 academic years. We hope to find a candidate who can teach Economic Approaches to Environmental Problems, as well as other courses in microeconomics or macroeconomics, or other electives. We are especially interested in candidates who include an international comparative approach, heterodox political economy, feminist approaches, applied policy analysis, and/or innovative methodologies in their research. Qualifications: Candidates should have a successful teaching record and the capacity to contribute to undergraduate general education and the economics major. Evidence of successful teaching with diverse students, including international students, is highly desirable. Candidates must complete the Ph.D. by no later than August 31, 2017. Evidence of progress towards an excellent scholarly record is necessary. Please submit a letter of application, curriculum vitae, a sample of written work, evidence of teaching effectiveness, and the names and email addresses of three references. Please include in your letter of application an explanation of how your work would complement the heterodox nature of the Department. UMass Boston provides equal employment opportunities to all employees and applicants for employment. However, because of the one-year nature of the position, only applications from U.S. citizens, Green Card holders, and new graduates eligible for Optional Practical Training will be considered. We have been informed that our university will not sponsor visas for one-year visitors. This is a 1-year limited appointment position with opportunity to renew pending continued funding. The Tufts University Global Development And Environment Institute is seeking a Research Associate or Postdoc Scholar to be a co-author of the texts Macroeconomics in Context and Microeconomics in Context. The position also includes contributing to coordination of other research, administration, and outreach by the Institute. Requirements for the position include Ph.D. or near completion in economics, and familiarity with Keynesian, post-Keynesian, and heterodox economics perspectives, including social and ecological economics. Creativity and openness to innovative approaches are important, and teaching experience is a plus. Good pedagogical writing ability essential. The Global Development and Environment Institute (GDAE), affiliated with the Graduate School of Arts and Sciences and the Fletcher School of Law and Diplomacy, is an interdisciplinary research institute dedicated to promoting a better understanding of how societies can pursue their economic and community goals in an environmentally and socially sustainable manner. GDAE pursues its mission through original research, policy work, publication projects, curriculum development, conferences and other activities. Salary commensurate with experience. Send C.V., the names of at least three references, and a professional writing sample. Applications will be considered upon receipt, preferred by January 31, 2017. See further details and application instructions. Three years’ experience in postdoctoral research position for Research Associate status. If less than three years, position will be filled as a Postdoc Scholar. • PhD or equivalent Doctoral degree, or near completion.